I delivered my annual lecture on Darwin and Evolution this week, and almost inevitable it led me to think again about psychology and religion. I’ve written before about the strange absence of ‘religious belief’ from most UK undergraduate psychology degrees, and delivering my lecture of evolution main me think about what a fascinating it would be for psychologists. As part of my evolution lecture I look at why ‘anti-science’ might be so focused on a theory that is over 150 years old, and so heavily supported by the weight of evidence. As part of the lecture I played a Youtube video of Ken Ham, a young-earth creationist who advocates a literal interpretation of the book of Genesis. I also looked at Ham’s web site ‘Answers in Genesis’, which provide scholarly explanations for the content of the first book of the Bible. 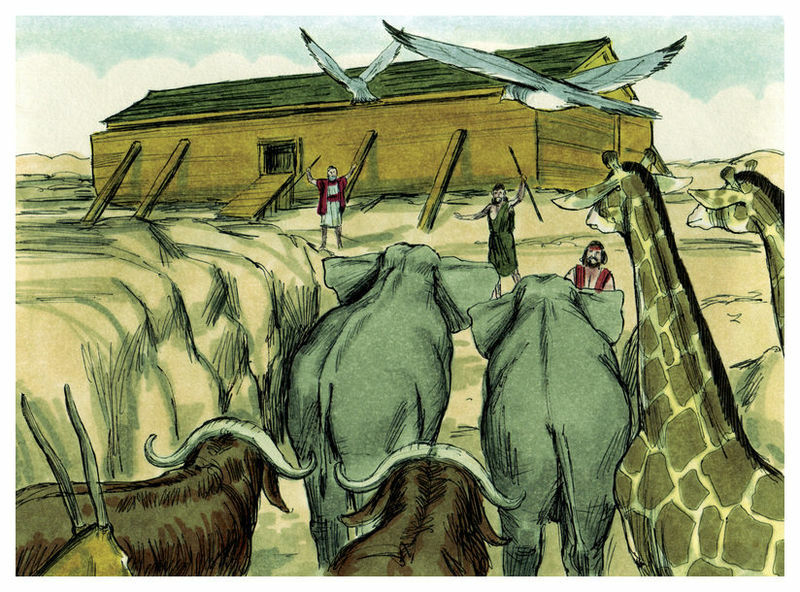 I was particularly drawn to a very detailed exposition of how Noah’s Ark would have worked, including an apparently serious consideration of the necessity of rounding in young dinosaurs as adults would be so difficult to accommodate. If one discounts the terrifying sight, for a rationalist, of young children being told that dinosaurs and man lived at the same time I was drawn to the question of why a literal belief in Genesis might be necessary in order to be a ‘good’ Christian. For me, as a fully paid up atheist, I can see that much of the New Testament provides a perfectly good guide to how to lead one’s lift, and the spirit of community engendered by organised religion surely ought to be positively viewed by a psychologist of any background. Yet, the insistence on rabid opposition to ‘Science’, and the extraordinary efforts to ‘prove’ the contents of genesis would seem to have no connection to all of the positives of Christianity (or indeed any other religion). All of this led me to wonder (aloud in the middle of my lecture), what drives apparently sincere religious people to focus on what appear to be details irrelevant to their core beliefs. The best I could come up with at the time was ‘cognitive dissonance’. In the same way that some American politicians have made seemingly bizarre statements about abortion I wondered if what might be driving ‘anti-evolution’ was a need to reconcile the dissonant beliefs in the literal truth of Genesis and the weight of evidence for evolution.